Though obesity in the United States has been rising since the '70s, it wasn't till the late '90s that scientists began to sound the alarm. It appears that after fifteen years of public health campaigns and legislative reform, the message is starting to sink in. 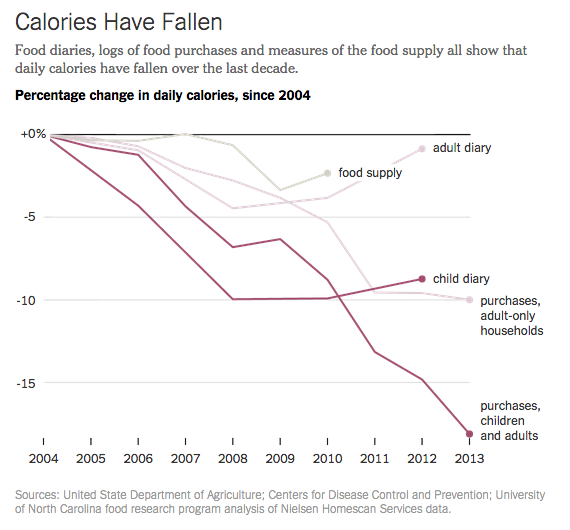 According to a new study, the number of calories eaten by the average American has declined since 2003, for the first time since the government began tracking the statistics forty years ago. 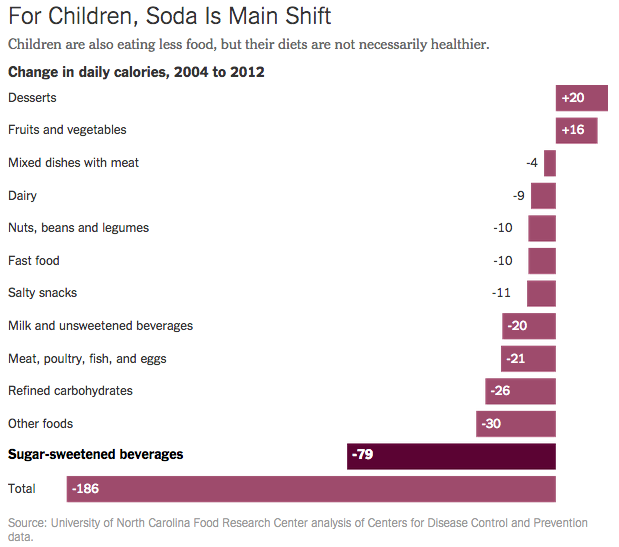 The most striking statistics are in American children, who are consuming 9% fewer calories than in 2003. Soda consumption has also dropped dramatically since the late 1990s, sinking by 25%.